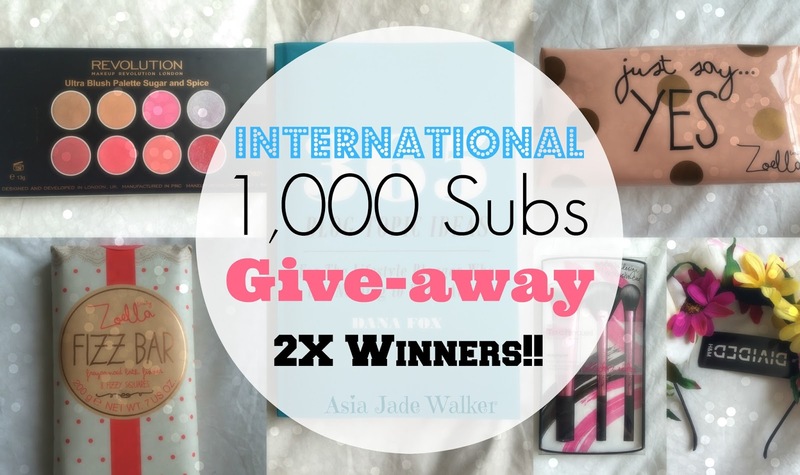 Hey guys so in today’s video I decided to share with you my INTERNATIONAL 1,000 giveaway. I hope you liked it as I loved filming it as it was something different. Don’t forget to SUBSCRIBE and give the video a THUMBS UP if you did in fact like it. TWO people can win these prizes 1st & 2nd place will be decided by who responds FIRST to the message I send them when the give-away is over. 1) You must be SUBSCRIBED to this channel (asiajadewalker) + you must also have your subscriptions OFF private so I can see that you are subbed. "Video | What’s On My Kallax Shelving Unit Ikea May 2015"
"It’s my B I R T H D A Y + 1,000 Subscribers"